On June 14, 1775, the Second Continental Congress authorized the formation of 10 companies of light infantry, creating the first elements of what we now know as the U.S. Armed Forces. From the beginning, the Infantry has borne the brunt of sacrifice for securing and protecting the freedoms of this Nation, our friends and allies. It is the “boots on the ground,” armed with both rifle and bayonet, and owns the last 100 yards of the battlefield. The Infantry’s seven values mirror the Army’s: honor, integrity, duty, selfless service, personal courage, loyalty and respect. While only one branch of the Army, it has accounted for more than half of all the Medals of Honor awarded. Members of the Infantry have suffered approximately 75 percent of the casualties in our Nation’s wars. Fifteen U.S. Presidents, including Andrew Jackson, Ulysses S. Grant and Dwight Eisenhower, served in the Infantry, all of whom saw combat action. Infantrymen have been called upon to fight all over the world in every sort of weather, over every kind of terrain and in every diverse culture. The National Infantry Museum and Soldier Center tells the Infantry’s story and preserves its legacy. The Secretary of the Treasury is authorized to mint and issue up to 350,000 silver dollar coins in commemoration of the legacy of the U.S. Army Infantry and the establishment of the National Infantry Museum and Soldier Center. The coin designs are emblematic of the courage, pride, sacrifice, sense of duty and history of the Infantry. 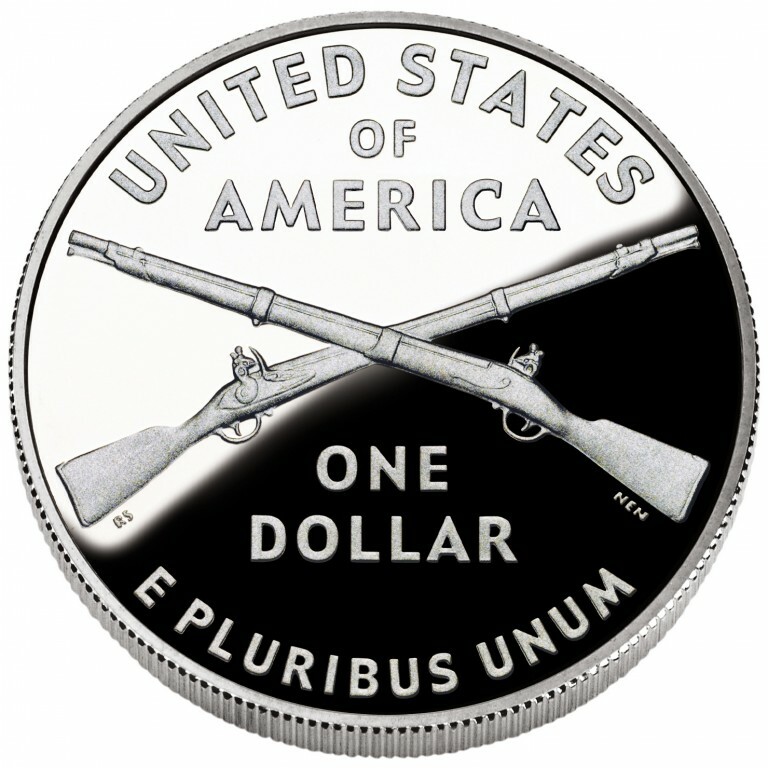 As authorized, the United States Mint is producing 2012 Infantry Soldier Silver Dollar coins in proof and uncirculated qualities. Surcharges from this commemorative coin program are authorized to be paid to the National Infantry Foundation. 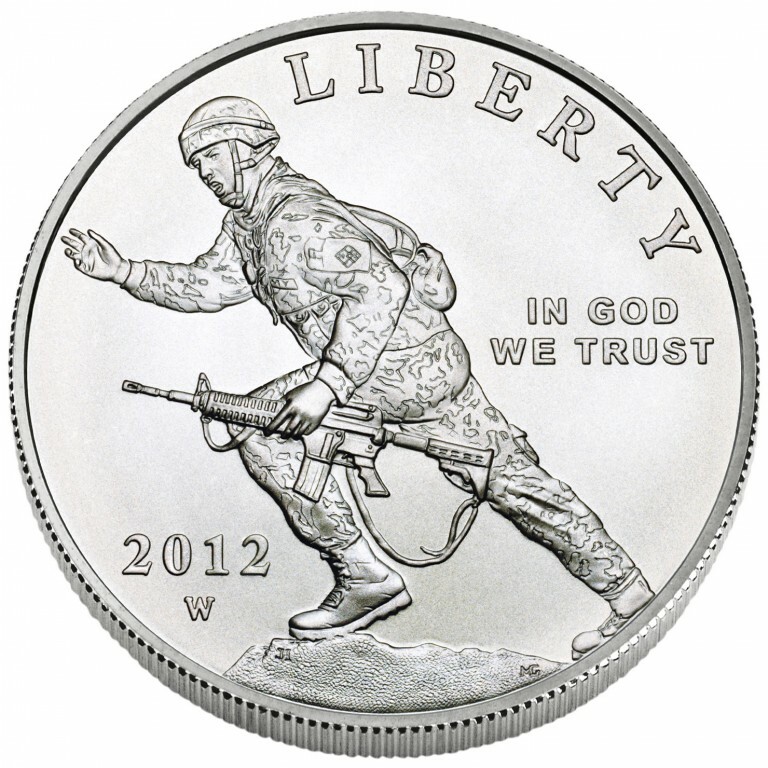 The obverse (heads side) design of the 2012 Infantry Soldier Silver Dollar features a modern Infantry soldier on rocky ground charging forward and beckoning the troops to follow, symbolizing the "Follow Me" motto of the Infantry. The representation of the contemporary soldier captures the essence of the Infantry's motto. 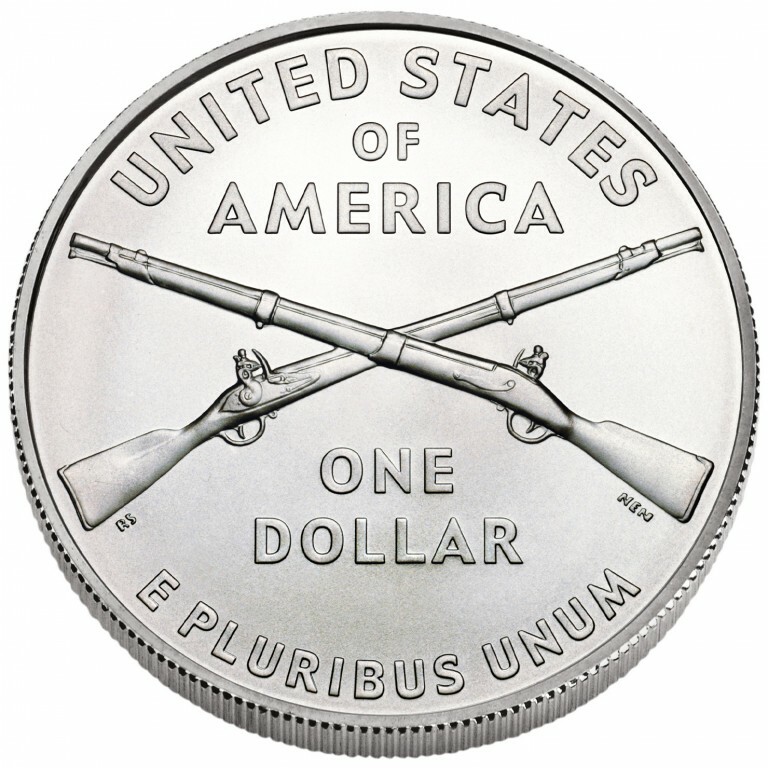 The reverse (tails) design features the crossed rifles insignia, the branch insignia of the Infantry. The insignia is a universally recognizable symbol of the Infantry, as all members wear it. 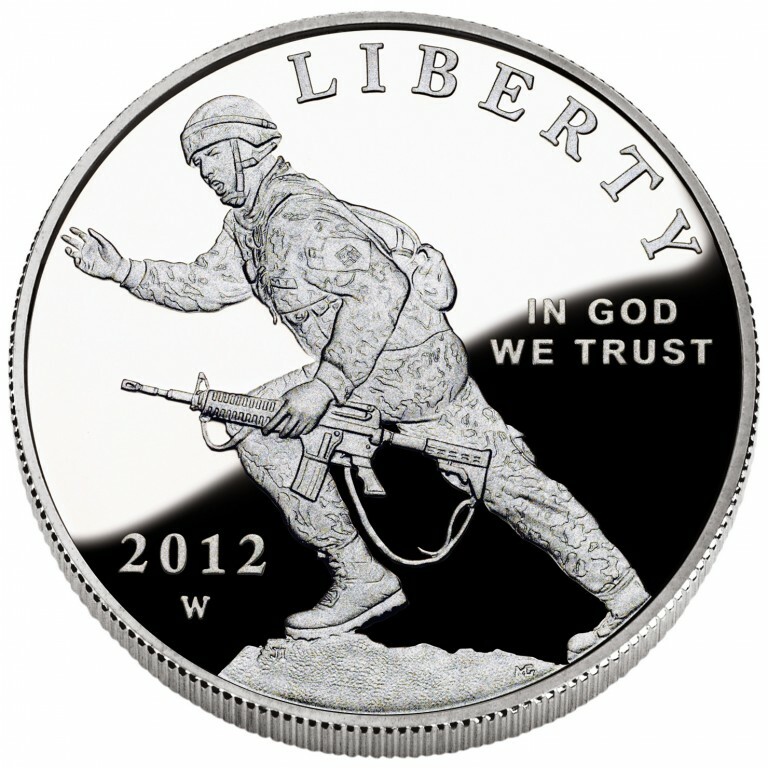 Both 2012 Infantry Soldier Silver Dollar designs were approved by the Department of the Treasury on July 19, 2011, at the recommendation of the United States Mint, after consultation with the National Infantry Foundation and the U.S. Commission of Fine Arts, as well as review by the Citizens Coinage Advisory Committee.